You are browsing the archive for 2019 January 29. January 17, 1920, marked a dark day for American brewers. At the stroke of midnight, America became a dry country under Prohibition, with over a thousand producers swiftly banned from selling their chief commodity: alcohol. Prohibition forced brewing companies to adapt or die—and many did. According to Maureen Ogle, author of Ambitious Brew: The Story of American Beer, out of the more than 1,300 brewers in operation in 1915, no more than 100 survived. However, they included some of the most iconic names in brewing—such as Anheuser-Busch, Coors, Miller, Pabst and Yuengling. 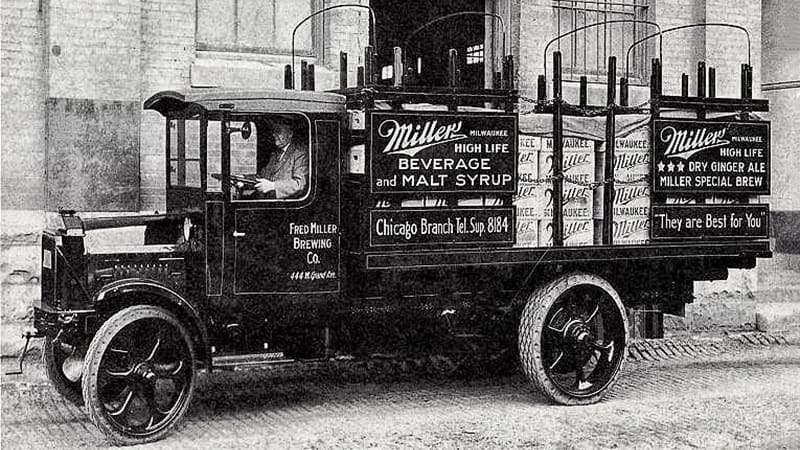 These now-dominant companies had also expanded into making non-alcoholic drinks some two decades before Prohibition became the law of the land, including soft drinks, malted milk and fruit juices. “They understood that if they wanted to stay competitive, they were going to have to make not just beer but beverages that non-alcoholic drinkers wanted,” says Ogle. At the start of Prohibition, many brewers pinned their hopes on non-intoxicating beers that were legal under Prohibition as long as they had less than 0.5% alcohol content. But it turned out that near beers weren’t near enough for many consumers. They wanted the real thing, and when the proliferation of bootlegging and speakeasies made real beer easy to come by, the near beer market tanked. Ogle says not many brewers expected Prohibition to last as long as it did: 13 years in total. “They thought they would be fine if they could hang on for two or three years. But by 1925, it’s clear the near beer industry was a total bust, and more and more brewers shifted into bottling other beverages.” Brewing companies even reconfigured their production lines for dyes, which were in short supply after World War I. From Gerald Ford’s football days to Barack Obama’s basketball game to George W. Bush’s impressive marathon splits, many presidents were also impressive athletes. From George Washington, who was a (2006). Presidents such as George H.W. Bush or Dwight Eisenhower who’ve played team sports, for example, tend to have a team approach to the presidency, relying more heavily upon cabinet secretaries and White House staffers for their counsel, Watterson says. In contrast, a president such as Herbert Hoover, whose main interest was the solitary sport of fishing, may be more inclined to go it alone—to his potential detriment. “Hoover, if he had played football or been a team player in some other sport, might have had a different approach,” Watterson says. Here are 11 presidents and the sports that helped define them. 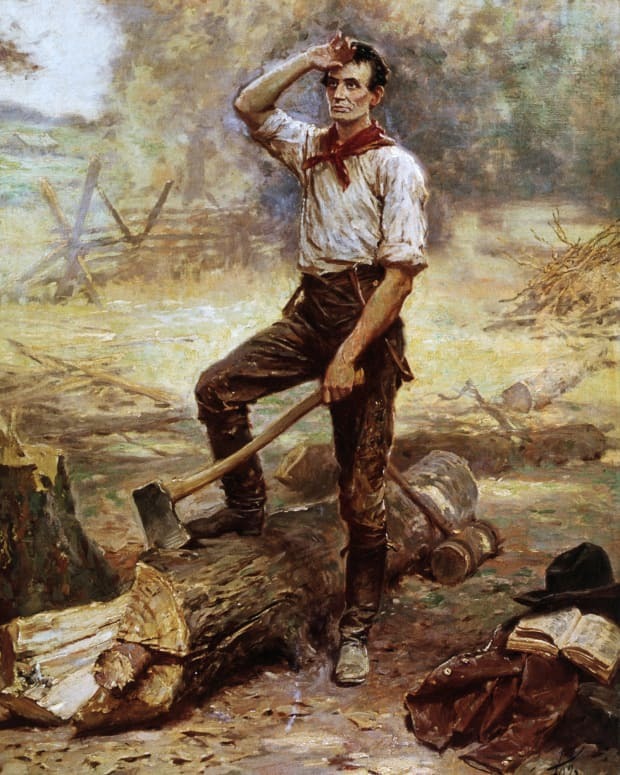 A young Abraham Lincoln splitting logs circa 1830 in Illinois. After moving to Illinois as a young man, Abraham Lincoln developed an impressive reputation as an amateur wrestler, according to Carl Sandburg’s Abraham Lincoln: The Prairie Years, Vol. 1. In the early 1830s, a saloonkeeper bet the owner of a general store where Lincoln worked $10 that Lincoln couldn’t beat Jack Armstrong, the champion of a nearby town. A match was arranged, and people came from miles around to a town square near the store, where they bet money, tobacco, drinks and other items of value on the contest. 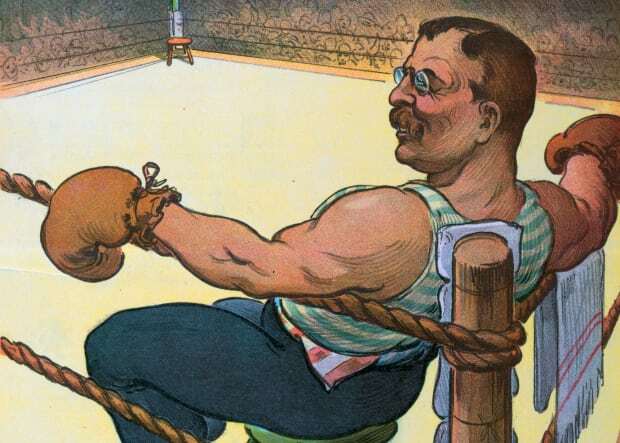 As the two men grappled, the short, muscular Armstrong tried to get in close and overpower Lincoln, but Lincoln—who despite his wiry build, was renowned for his strength—held him off with his long arms. Finally, Lincoln threw Armstrong and pinned his shoulders to the ground. Armstrong’s friends, angry at the defeat, confronted Lincoln, who told them he would fight, wrestle or run a race against any of them. Armstrong finally diffused the tension by shaking Lincoln’s hand and declaring him the winner, fair and square. The two men eventually became good friends. The tenacity and resolve that Lincoln developed through wrestling undoubtedly came in handy when he had to lead the Union in the Civil War. the Supreme Court’s dubious June 2018 decision upholding it. just short of 4,000 spouses. suffer “undue hardship” if denied. point to coming at all if they didn’t come immediately. That standard keeps these families apart. power and rotation in office. Running for the House of Representatives was once a blood sport. congressman or senator, hanging on until they can barely function. limits discourage the creation of a permanent political class. yield a greater focus on issues than on, say, constituent service. Democratic caucus in the House, are more likely to succeed. for 2020: Don’t be crazy. And they are failing at it. simply by not being Trump. is about to fall off the edge of the political charts. that it is about to fall off the edge of the political charts. It’s Not Just Immigrants. Trump Is Separating American Families, Too.